Use technology to start the new year with a Bang! As we near the end of the summer break, most teachers will be preparing themselves for the start of another busy year. Many will be thinking of how to start the year to engage and inspire their students! 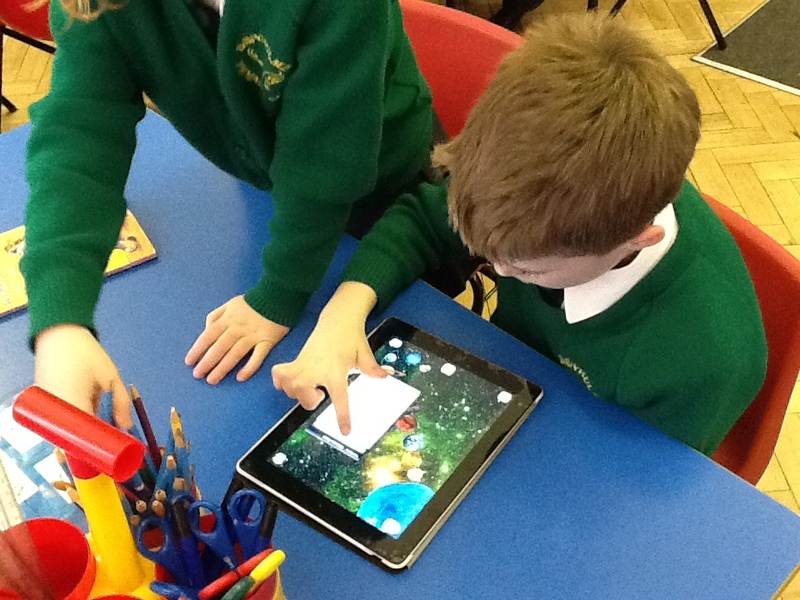 Using technology positively and to its potential, can transform learning in so many ways. I always try to share and promote ways in which technology can do this. For the teacher, technology should eventually save time and in some cases money. The problem for some teachers is that when they embrace technology it doesn't replace something else and becomes another job on top of what seems a never ending pile! It is pricey - You can create a blog for free, PrimaryBlogger will allow you to create a blog for free and you just pay if you want storage. It is hard to do - Yes initially setting up the blog may take a while but once it is up and running using an app such as Easy Blog Jr makes it incredibly easy to blog from an iPad or iPhone. It is unsafe - Make sure you update your school policy and gain permission from parents to put images on your blog. If you are blogging, use the blog to replace other tasks. Use it for weekly newsletters and homework tasks. Flip your classroom and create video tutorials that are shared on the blog for children to access prior to the lesson. Another alternative, if you have access to tablets would be the app Showbie. This fantastic app can turn your classroom paperless, saving you so much time and printing costs. After setting your class up you can set assignments for children to submit, in class or at home, and give feedback in a variety of ways. This video from the fantastic @digitalroadtrip explain how Showbie works, however, the app has been updated since. 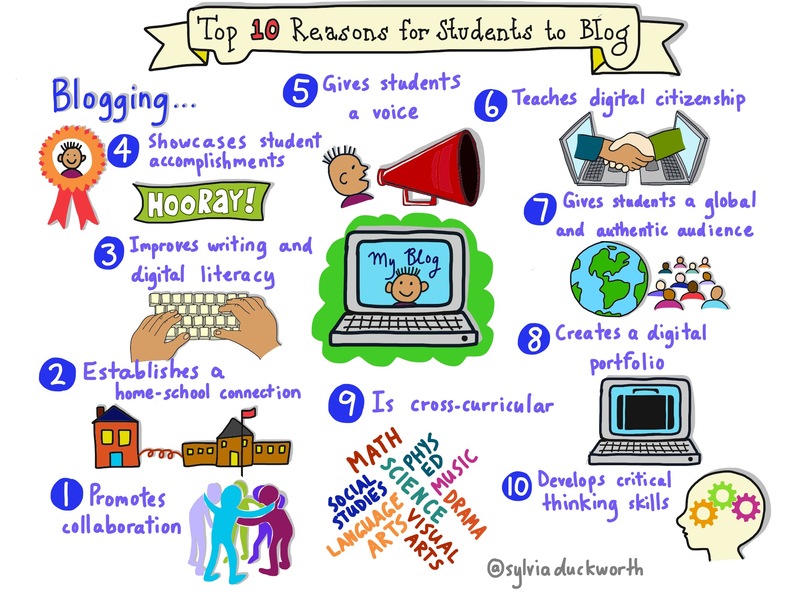 The key to a successful blog is an enthusiastic teacher! You have to really make a fuss when children blog at home, introduce a blogger of the week award or get parents involved. Be pro-active in getting your student's work seen, which brings me onto my next point. If you want your blog to work, you need to get it seen. This means sharing the good work! This can be done by having a class/school twitter and facebook account. You are not encouraging children to use these sites, instead demonstrating safe and positive use by sharing their work with the world. Save time by using tools to automatically link your blog to your twitter or facebook page. The website DLVR.IT provides this service. A couple of useful tips - update your policies if you are going to have a school/class twitter or facebook account. Make it clear that it is a one-way communication tool for parents and not a forum for discussion to avoid negative or unnecessary comments. I was excited to see the release of a Padlet app over the summer and it is a fantastic tool for the classroom. The app/web tool allows you to create interactive online sticky note board that allows anyone to contribute and share ideas relating to the question asked. I have used Padlet for so many different uses including an online Remembrance Sunday wall or a collection of opening lines from children's books. Why not create a padlet wall for show and tell, giving children the ability to upload or create videos or pictures about a trip or object they want to discuss in class. Encourage them to use different apps like adobe voice, vidra or shadow puppets to create a video that can be added to the padlet wall. During the show and tell session in class, display the padlet wall on your whiteboard, watch the content and allow the student to elaborate or do a Q&A. 5. Start a video diary using 1 second everyday. The 1 second everyday app is a great way to create a video diary. I have previously blogged about all the possibilities here. Start on the first day using the app to snap different moments throughout the day. Before the day ends, share what you have recorded with your class and ask them to choose which moment will be chosen for that day. This is a great way to promote positive relationships within the class. By the end of the year, you will have a 6 minute video that shows the journey of your class throughout the whole year and provides the children with a great keepsake! I hope you find these ideas useful and would love to hear how you get on using them in your class. If you are interested in other ways in which technology can raise standards in the classroom, Mr P can provide INSET and training sessions for staff. More details can be found here. Will creating an online blog for the student is good and if we see the smart cities then we know that how much they move forward in it. Epic For Educators - Epic Win! Why you need Ditty app in your life! Bring The New Premier League Season into Class!